The hot potato of immigration – a perfectly reasonable debate for citizens of any country to have but one that many from all political persuasions are often unable to have without resorting to hysteria and polarisation. Natural and sustainable immigration happens organically. 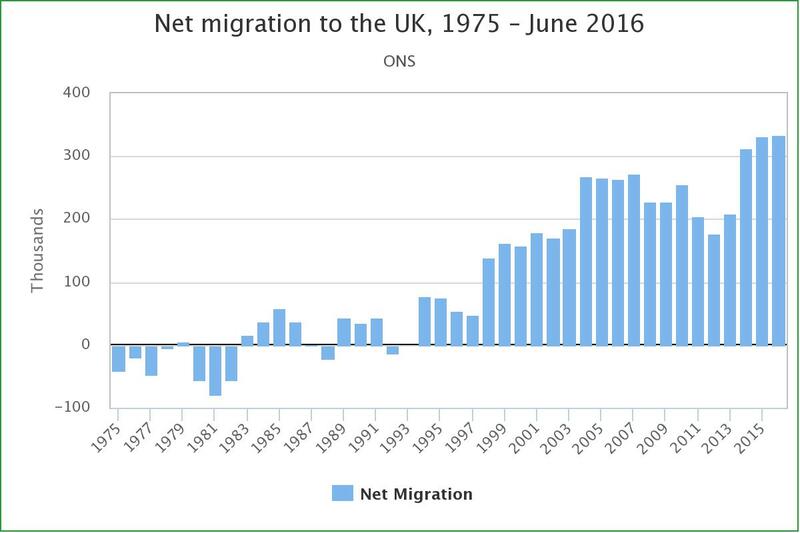 Economic immigrants, whether legal or not, can’t be blamed or demonised for looking for a better quality of life. And genuine asylum seekers who escape war zones and civil wars created by any aggressor including western/Nato countries should expect our sympathy and help and be given refuge in the nearest safe country or countries as set out in international law. But it isn’t that simple. Sadly there are political leaders and planners who seek to create and use mass immigration and the forced movement of people for their own nefarious purposes. Not many people have heard of the The Kalergi Pan European plan for Europe. In the 1920s, Free Mason Count Richard von Coudenhove-Kalergi wrote a book titled “Praktischer Idealismus,” (Practical Idealism) which set out his views on how he believed the abolition of the right of self-determination and the elimination of European nations should be accomplished with the formation of an European Union. After publishing the book, Kalergi received help from Baron Louis de Rothschild who put him in touch with one of his friends, banker Max Warburg. Warburg then supported Kalergi with considerable funds to help form his European movement. The main problem lays with the fact that what Kalergi called for was not only the destruction of European nation states but also the deliberate ethnocide of the indigenous, mostly Caucasian race of the European continent. This he proposed should be done through enforced mass migration to create an undifferentiated homogeneous mass of serfs to be dominated by a wealthy self electing elite. This, Kalergi stated, should be a plan run for and by the racial and spiritual supremacy of ‘blood aristocracy and Jewry’. These are all his crude racialist words, not mine. People should be free to mix and settle with a partner from whatever race or ethnicity they choose. 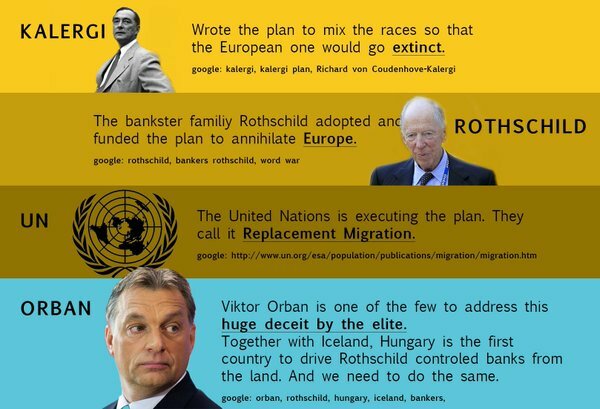 But what Kalergi and the Pan European plan specifically calls out for is the deliberate use of enforced and disproportionate mass immigration, especially from non-European countries, in order to bring in a Pan European single state dictatorship and destroy the indigenous pink/white nationalities, and therefore resistance, of Europe. In order to get a better picture of where this kind of twisted thinking comes from, those interested might want to look in more detail at Kabbalaism and at Babylonian mystery religion. These occult paganistic, Luciferian, anti Christian doctrines can be seen manifested in the highest degrees of Free Masonry and other secret societies, in the Kabbalah Zohar literature, in the subversive Sabbatean/Frankist movements and in the highly unpleasant supremacist teachings of the Babylonian Talmud bible – a doctrine that refers to non Talmudists as the sub-human Goyim/Gentiles (cattle) and which is followed and taught within Rabbinical and ultra orthodox Talmudism and within religious and political Zionism. Babylonian occultism has also creeped in to most other organised religions at the higher levels including Roman Catholicism, Islam, Protestant Christianity, Buddhism, Hinduism and the New Age Movement. It is also to be found as a guiding principle in the upper echelons of the unelected United Nations. Alongside globalist corporations and philanthropists, these followers of occult Kabbalaism and extreme Talmudic and Zionist teachings seem to be especially preoccupied with deliberately destroying the indigenous nations and Caucasian race of Europe through mass enforced and unfettered multiculturalism. They also seem preoccupied in destroying the traditional Christian heritage and moral values that have largely helped to build and maintain a flourishing and diverse, culturally rich European civilisation. The illegal attacks led by a small crazed Anglo-American-Israeli elite seen in recent years on majority Muslim countries such as Iraq, Afghanistan and Libya has also conveniently led to the radicalisation of many of the men and women of those countries. A large proportion of whom are now intent on revenge through the bloody destruction of the west by war or invasion. 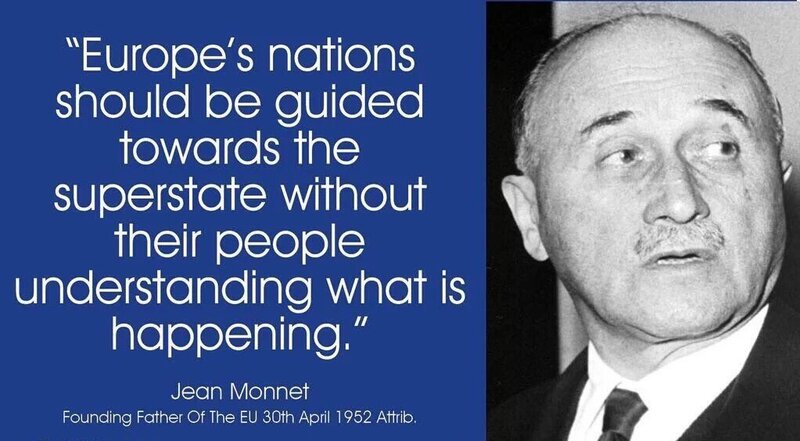 It could be easily surmised that this has played beautifully in to the hands of those European and Zionist elements who themselves want to see Europe destroyed as the Kalergi plan lays out. In other words, the radical Muslims have been played as much as we Europeans have. Divide and conquer, play both sides and all that. Perhaps it would be an idea for all divided enemies to start talking to each other and to look at who all the vested interests pulling all these strings might be and ask why are they doing it? 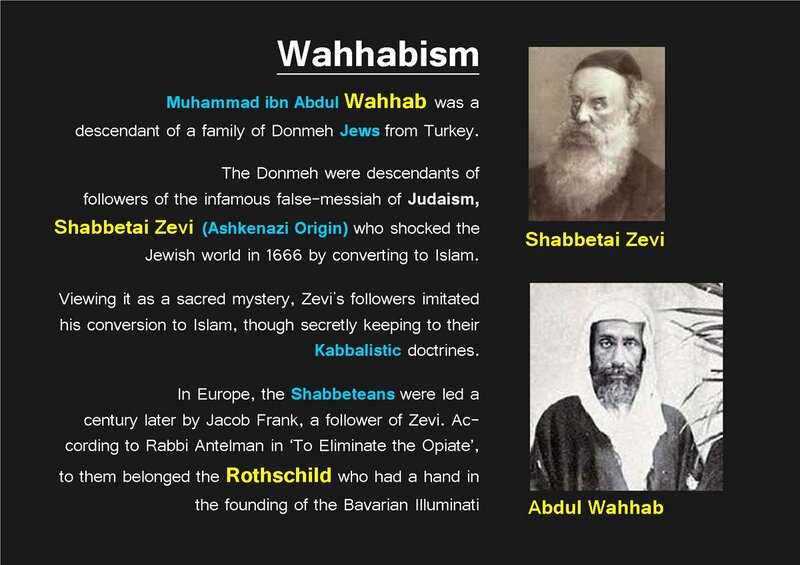 The majority of the people of Israel and elsewhere who are moderate non Talmudic followers of old testament (Torah) Judaism, Arab Christians, Atheists, Agnostics, and moderate Muslims are also as much victims of such dangerous elite supremacist doctrine as we in Europe seem to be. And many if not most orthodox Jews don’t even realise that what they’re following or affiliating themselves with is extreme Talmudic Judaism, with increasing numbers now becoming aware of the extremities of Talmudic teachings. Zionism is essentially Rothschild Zionism. 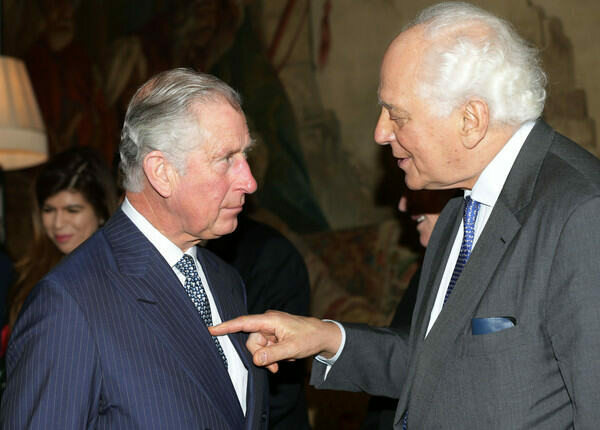 The Rothschild family is a globalist banking family who have been and are currently in charge of most of the wealth and central banks of the world, and a great deal of its media. 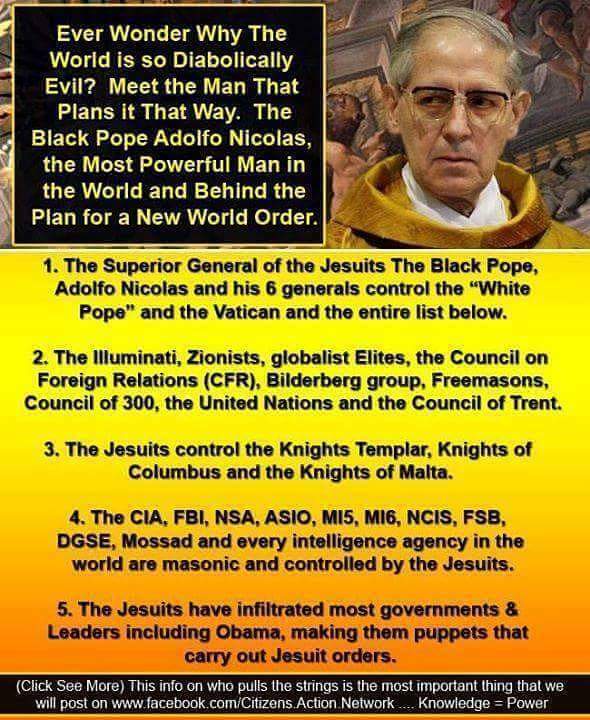 They are also bankers to the equally rich and powerful Roman Catholic Church and its Jesuit order in the Vatican – another institution heavily infiltrated by occult Kabbalism and one also very keen on a globalist new world order of one government, one cashless currency and one religion. The Rothschilds are said to have been funding both sides of wars and other major world events and revolutions since the bloody French revolution, profiting from such events whatever the results. 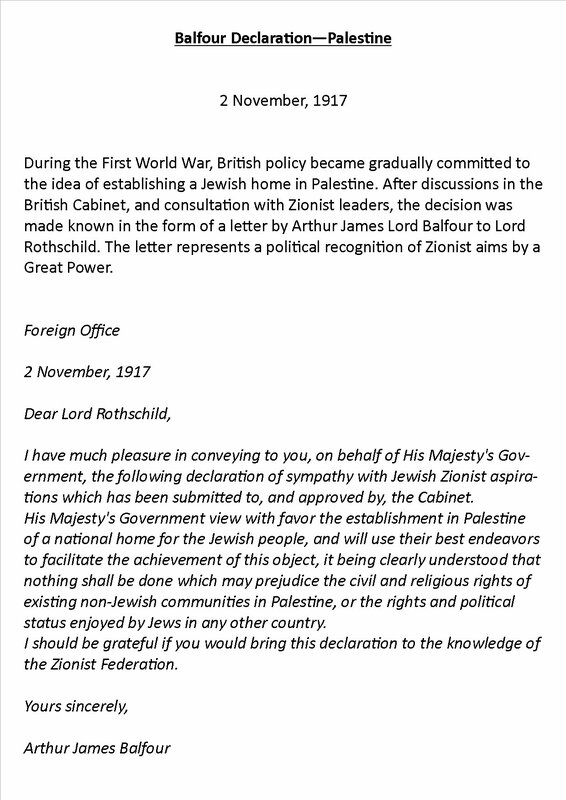 It was to Lord Rothschild that Arthur James Balfour promised the whole of Palestine in his infamous Balfour declaration letter of November 2nd 1917, not to any nation or peoples. This deal, it is alleged, was agreed by the British state in return for the Rothschild Zionists managing to bring the Americans in to World War One. The Zionists had to resort to making this desperate deal after Germany, although they were winning the war, offered armistice to Britain in 1916 with no requirement of reparations. Historians claim that the Zionists involved were very anxious to make sure that there was no such early peace as they were expecting to make far more money from the war and were not yet ready for it to end – an incomprehensible and criminal mindset that led to the further deaths of millions of young men and women from all over Britain, Europe and beyond. This crisis also presented a great opportunity for the Zionist movement to demand Israel as their own after many years of planning on the international stage, especially through the World Zionist Organization formed by Theodor Herzl in 1897. It is also well documented and highlighted by renowned historians such as Anthony C Sutton and others that it was the internationalist banking fraternity based out of Wall street and the City of London who, directly and indirectly, funded the murderous and genocidal Bolshevik revolution in Russia in 1917 as well as the rise of Hitler and the Nazi Germany regime in the 1920’s and 1930’s. Together with the first world war, these led to the deaths of hundreds of millions people. The Rothschilds are a key part of this internationalist banking fraternity, its subsidiaries and its corporate affiliates. It is alleged that The Rothschilds today own at least 80% of modern day Israel – the land that was ‘given’ to them as if by magic. The six sided hexagram star seen on the flag of Israel is not the star of David as we have been led to believe – it is an occult satanic symbol going back to Babylonian times and adopted by the House of Rothschild in recent centuries. The rotting corporate owned mainstream media won’t investigate any such claims with an unbiased evidence based approach of course. Slurs of ‘anti Semitism’ are thrown at anyone trying to rationally and fairly criticise and debate issues to do with Zionist/supremacist related extremism. The ‘Friends of Israel’ lobbying groups in Europe and AIPAC and the Anti Defamation League in the USA and elsewhere are well versed in conducting trial by media witch hunts against anyone not reading from the script, shutting down free speech and essential public scrutiny and attempting to emotionally blackmail everyone in the process. 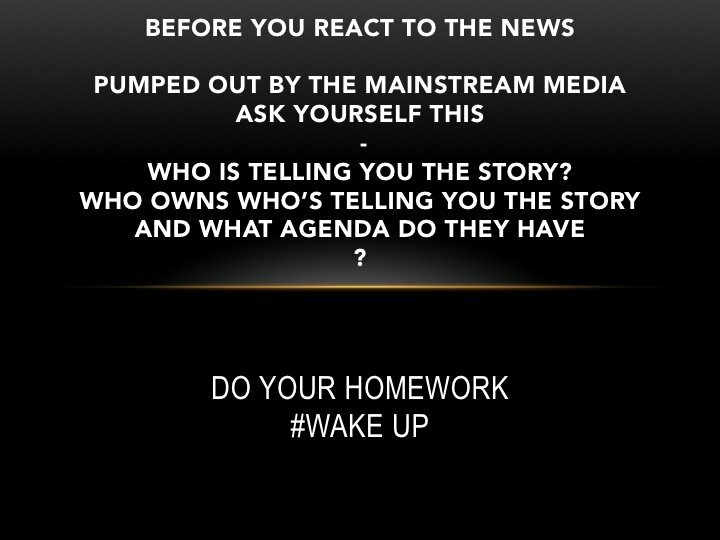 Which is why most people have stopped listening to the mainstream media and its increasingly desperate attempts at criminal mass propaganda, deflection, spin and lies. And as suggested by some modern genetic research and officially stated by the Israeli government (reported here in the Times Of Israel), a great deal of modern Israelis or those today calling themselves Jews aren’t even Semitic anyhow. Many are believed to be of Khazarian Turkic ancestry who converted from paganism to Talmudic Judaism in and around the 8th or ninth century AD, and mostly self identify as Ashkenazi Jews – Yiddish or English often being their chosen language rather than Hebrew. Not that it should particularly matter. But this is one example of how trigger words and terms are misused and manipulated by the mainstream media in order to push their own agenda and narrative, and at the same time shut down any criticism and healthy open debate. 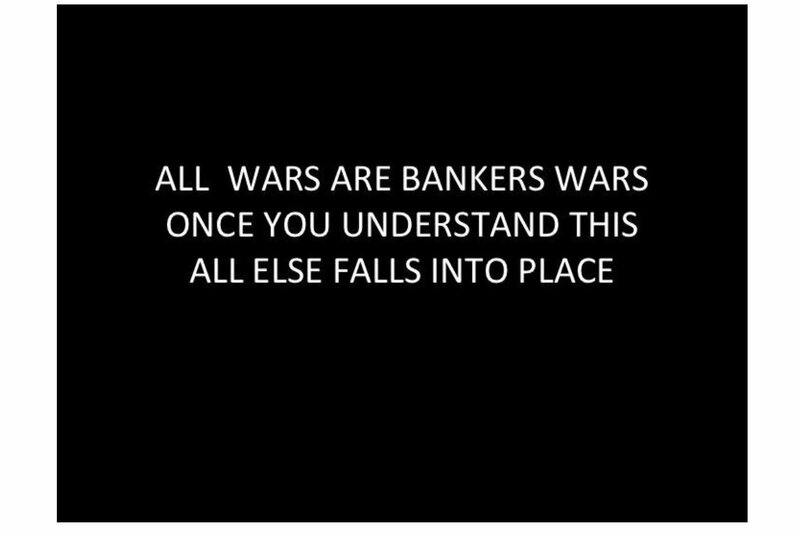 It’s also very important to note that the cabal working behind the internationalist bankers have been at it for a very long time indeed. Numerous historians and writers state that this evil conspiracy goes back to the dawn of mankind. In his excellent book ‘Pawns in the Game‘, author William Carr describes how a small group of ‘false priests and money lenders’ have been at it since before Biblical times trying to create a new world order and to gain full control over its inhabitants. He describes them interchangeably as Illuminati, Pharisees and of the Synagogue of Satan. Carr adds that blaming the Jewish and/or Semitic people as a whole is of little use as the small group of extremist false priests he mentions cared little for any one nation, people or race and, contrarily, “intended to use the hate engendered amongst the Jewish people as the result of persecution, to serve their vile purposes, and further their secret totalitarian ambitions.” – something World Zionist Organisation figurehead Theodor Herzl also propogated in his extremist ramblings in the 19th century and which others continue to do in the same vein in the present time. Not to say that there aren’t a number of people who identify as Jewish involved in this vile conspiracy – of course there are. But what we are dealing with is a minority of fanatical extremist elites that, based on their supremacist and occult beliefs, can simply be described as bad, dangerous and even satanic regardless of where they may or not be from. What unites all of them is that, at their highest levels, they are following occult Kabbalistic luciferian doctrine. In other words, this is a good old fashioned battle between good and evil. 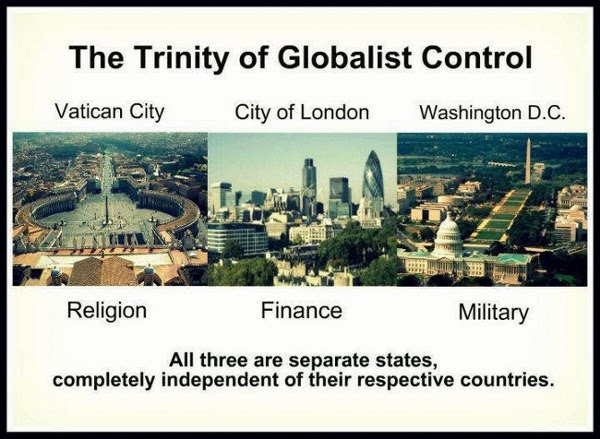 And, as mentioned, what this affiliated globalist cabal ultimately seek is a one world state and full globalist control, with one government, one currency, one army and one world religion, and with a luciferian god masquerading as the true God. 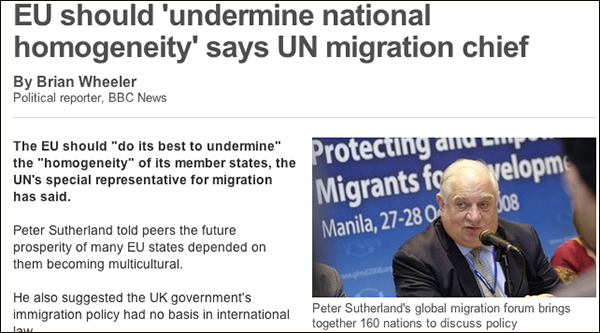 Going back to the subject at hand, this mass enforced immigration plan is incitement to genocide as defined by the United Nations even though the UN themselves as well as the EU have been proponents of exactly this kind of mass movement of people in to Europe under the ominous title of ‘Replacement Migration’. Such an idea goes against all notions of equality and the celebration of diversity. Such a plan is a deliberate attack on the very notion of diversity – a “Mein Kampf” in reverse. Ethnocidal based European unification and the union of other Orwellian world regions would likely be the first steps in creating an eventual world government, potentially under the UN or a similar unelected global body. But surely Kalergi was just a lone racist quack with twisted genocidal fantasies? It appears not. 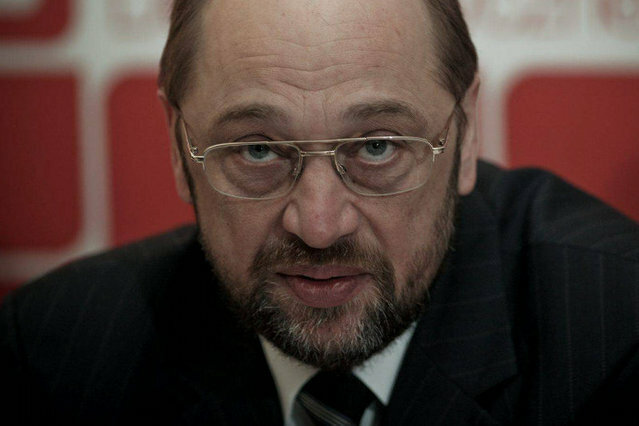 Another reason why this is a serious concern stems from the fact that every year, in his honour, the European Union bestows the Coudenove-Kalergi prize to “Europeans who have excelled in promoting European integration.” This is done officially under the name of The Charlemagne Prize. Recent winners of the award have been such moral luminaries as Angela Merkel, Herman Van Rompuy, Tony Blair and Henry Kissinger. 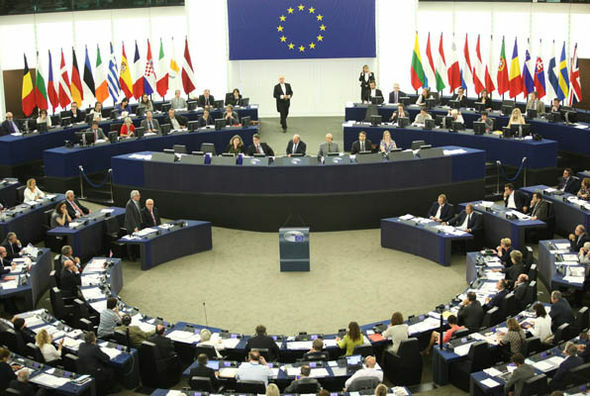 It might be an idea for our rarely heard of MEP’s to start asking EU Parliament supporters of the Charlemagne Prize why it is that they give such a prestigious prize every year in honour of such a racist supremacist genocidal maniac as Richard von Coudenhove-Kalergi. This is probably an unknown aspect of the history of the European Union to many. 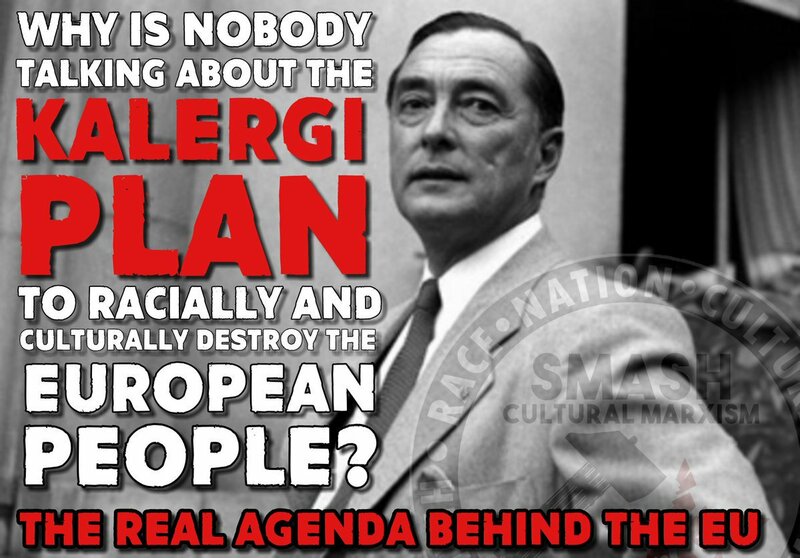 But there can be little doubt that this man, Richard von Coudenhove-Kalergi, is seen as the spiritual founder of the European Union and that he is still being celebrated and revered today by the leadership of the European Union. Whether Kalergi’s vision is being followed word for word or not perhaps is not the main issue. Mass and disproportionate movement of people in to Europe is happening whether we believe it or not. And most are economic migrants not refugees. Once those genuinely fleeing wars arrive at the nearest safe country and are given sanctuary as they should, they can claim refugee status. This is why aid from Britain and Europe is much better spent on helping those in need in these safe haven countries nearest to conflict zones such as Turkey, Jordan and Lebanon. But if those claiming to be refugees then insist on moving on to other countries that they have their eye on then they become self chosen economic migrants. It’s reported that more than a million recorded people reached Europe through irregular means in 2015 alone. 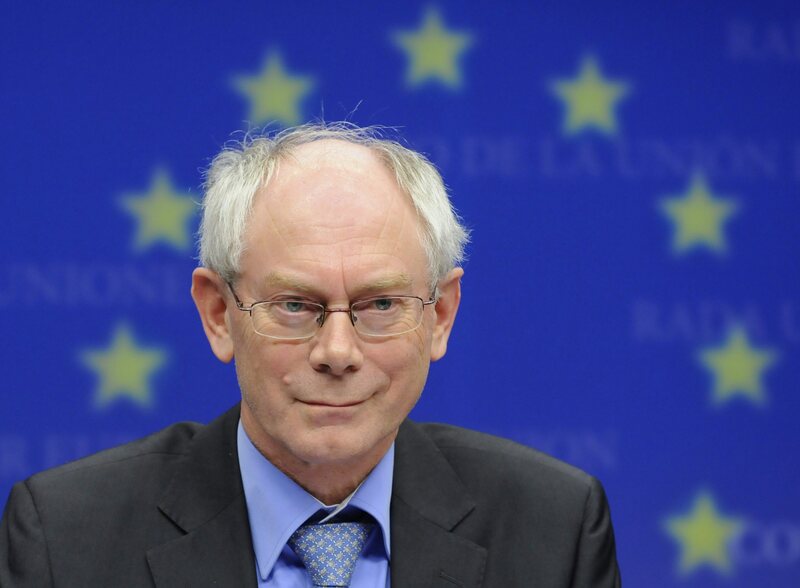 According to Frans Timmerman, Vice-President of the European Commission, it’s estimated that around 60% of those coming in to Europe from the Middle East and Africa are economic migrants using asylum-seeker status as a cover. Even this 60% figure seems to be a conservative estimate from looking at other various reports. French government officials and Turkish authorities are also reported to have been caught red handed selling life boats and equipment to refugees in Turkey. 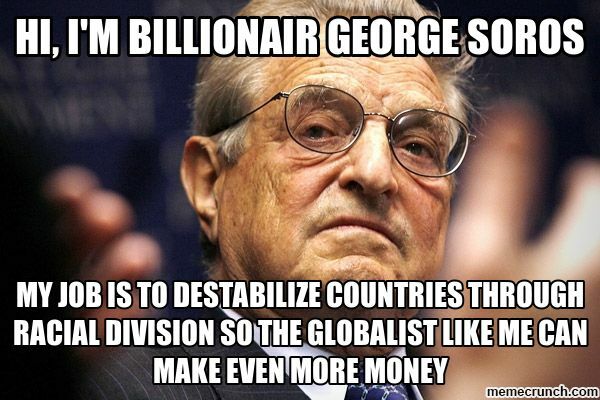 Billionaire George Soros, alleged funder of numerous revolutionary ‘springs’ and movements including the divisive race baiters Black Lives Matter in the USA, who also has a global network of non-governmental organisation (NGO) fronts operating under his Open Society Foundations, recently insisted that the European Union should spend a further 10 billion Euros to facilitate the movement of more than a million mainly ‘Muslim refugees’ into Europe every year from now on. 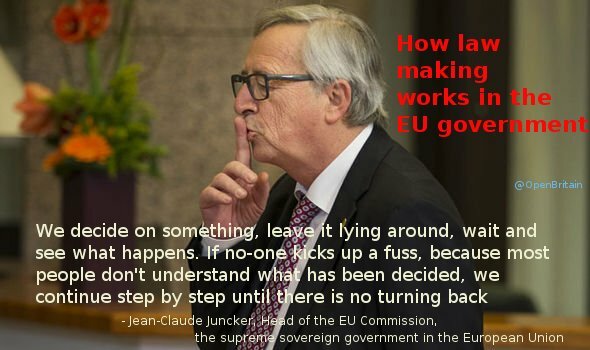 Brussels seems to be complying with the instructions of this self-appointed global Tsar. Soros is also alleged to be a front man for the Rothschilds. 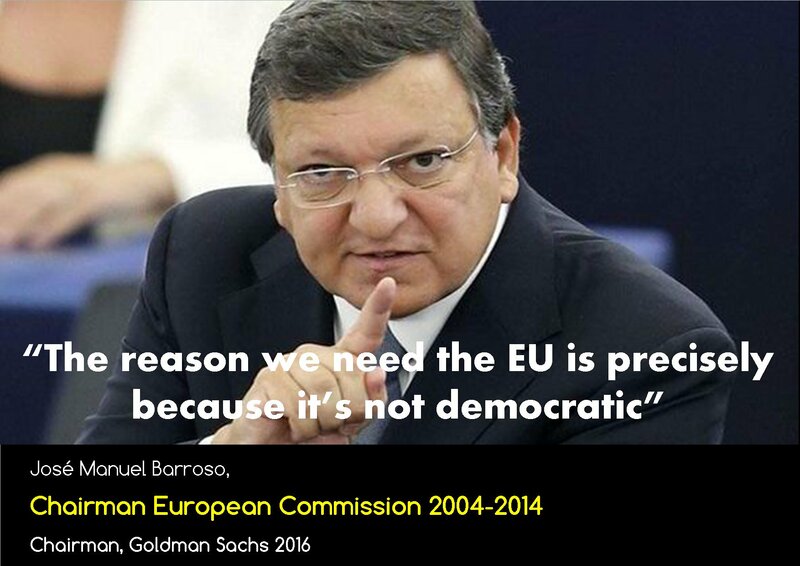 According to renowned Irish journalist Gearóid Ó Colmáin, the company that would mostly benefit from this increased EU spending is Equistone Partners Europe, an affiliate of the Rothschild-owned Barclays Bank. Reports also allege that Soros and his cohorts’ geopolitical meddling have helped to create the sudden mass movements of people in general, allowing for the resulting integration of ISIS/ISIL members in to the mass of economic migrants and asylum seekers arriving in Europe. The end outcome being the potential chaos and clash of civilisations and religions that we have already seen glimpses of. It’s a claim substantiated by numerous other sources reporting that thousands of covert trained fighters have been successfully smuggled in to Europe posing as migrants – the full amount being impossible to determine at this stage. None of this should really be that much of a surprise considering that it’s by now being widely reported that it was the USA, Israel and their allies who created Al-Qaeda in the first place. And it shouldn’t either be much of a surprise because, as mentioned, ‘Replacement Migration’ to deliberately bring in at least 56 million people from mostly Africa to Europe by 2050 is a very real and genocidal policy that has already been planned by both the UN and EU since at least the year 2000 – a policy carried out under the auspices of various inter connected globalist agencies and plans such as the International Organisation for Migration, Global Migration Group, The Africa-EU Partnership, World Bank and the cult of international sustainable development also known as Agenda 21/2030 Agenda. And, as mentioned, the mainstream media who can only shout ‘conspiracy theorist’ at those who present documented evidence on such matters have become defunct bodies that the majority of people don’t listen to or trust anymore. It is a conspiracy though, that much is true. A horrific conspiracy against all of humanity, civilisation and all monotheistic religions. Our politicians and public figures have a moral duty to expose all of these issues and the EU deceit for what it is. In this they have failed us. Immigration occurs in to all countries and every country on earth has an indisputable right to control immigration numbers in to their countries based on their own capabilities and needs. This is common sense. This debate really should be about numbers, not race, ethnicity or nationality. But immigration only works if the immigration numbers are sustainable, occur organically and are in keeping with the needs and capabilities of the host nation. That and ensuring that there is enough time and resources for new citizens to assimilate and become productive members of their new societies. That is when true multiculturalism can work. When the numbers are disproportionate, unnaturally forced or out of control, there will inevitably be tensions and effects on jobs and wages, on public services and on society at large. Nobody wins. Racial incitement to hatred and extremism from across the whole political spectrum should be tackled whenever it occurs. But the racism of those political leaders that deliberately inflict disproportionate mass migration on any country without the agreement of that country and its people should be tackled equally. As importantly, all matters to do with diversity in the form of race, culture, religion and nationality should be discussed, debated and understood rather than brushed under the carpet and treated as if they don’t exist. 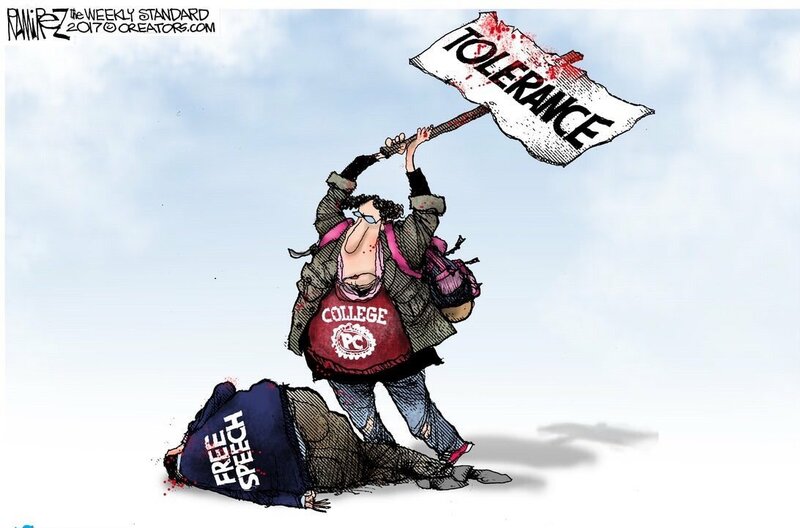 But in Britain, Europe and the west generally, extreme politically correct indoctrination by the media and the education system has been so effective that many people self identifying as progressive liberals refuse to recognise the issues that mass unfettered and open border immigration can cause to any country if not tackled with a rational and balanced approach. Freedom of thought and freedom of speech are also under threat from general bigotry, especially liberal bigotry. And it seems that it’s only the western, traditionally Christian European countries that have no right whatsoever to speak out or to control immigration numbers in to and within their borders. And any in Europe that do raise rational objections are demonised and hounded down as racists, bigots and parochial isolationists. It is sadly largely true that ‘anti racist’ has started to become code for ‘anti white’ in Europe, in north America and elsewhere as well. The narrative being pushed is that it is only these mostly white European countries that can be racist, no one else. They have no right to a voice. They have to be silenced and demonised at any opportunity for speaking out against their own potential destruction. 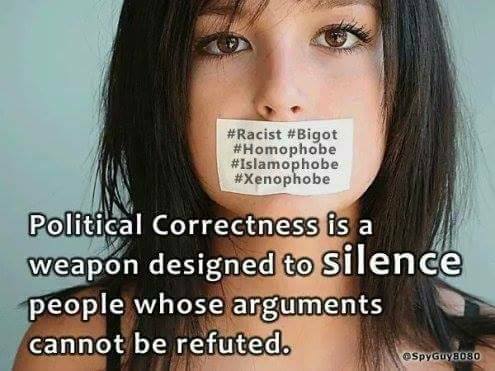 The weapons of so called ‘white guilt’, ‘white privilege’ and ‘spoilt capitalist westerner’ tags have been selected from the divide and rule globalist tool box and are being used to silence any rational concerns that are expressed from within these European nations – the vast majority of which have no issues with sustainable immigration numbers and are welcoming, respectful and tolerant towards all races, religions, nationalities and ethnicities. As previously alluded to, the narrative created and pushed in the mainstream media obsesses on, forces and fetishises the whole issue to be about race and skin colour, polarising and framing all arguments based on this predisposition. And the snobbery, contempt, and derisiveness shown by the liberal elite towards British and European citizens of all races and creed who have a rational and legitimate concern about unlimited immigration, also shows how disconnected the political system is from the public and Realpolitik in general. The inverted racism and polarised views of this liberal elite are perfectly demonstrated by the fact that they seem to believe that it’s only the pink/white citizens of Britain and Europe who have concerns about unlimited immigration in to their countries. And there is another deeply flawed double standard in the argument for enforced unlimited immigration and multiculturalism. A great deal of the world’s non-European populations are mono cultural/mono racial. Why aren’t self proclaimed progressives insisting that these countries should be forced to accept open door immigration, to become more multicultural and more ethnically diverse? Why aren’t they demanding that China, Japan, Israel, Saudi Arabia and African countries become unquestioning multi cultural and multi racial societies? Why is it that, at the present time, it’s only the indigenous European nations that should unequivocally accept enforced unlimited immigration and multiculturalism? Many will protest to rightly defend Tibet and Palestine from displacement and colonisation because the liberal progressive media has told them that this is acceptable to do. But the same people won’t defend the same rights held by European nations. Here the inconsistency and hypocrisy of enforced immigration and multiculturalism is exposed. But it’s exactly this kind of flawed logic that the western so called liberal progressive elite seem to revel in – the promotion of sovereignty in the west as being an inherently racist concept. This is nonsense. Racism is defined as persecution or demeaning of other races based on the idea of racial superiority. The obvious irony is that deliberate unfettered and enforced immigration in to any country in order to colonise, destabilise and destroy it is one of the most extreme racist doctrines that can be carried out and, as mentioned, is recognised as genocide by the UN. The cruel trick played on the well meaning dupes in the west who support unlimited mass migration and open borders, is that they themselves are the unwitting victims of the worst kind of horrible and vexatious racist doctrine against them. 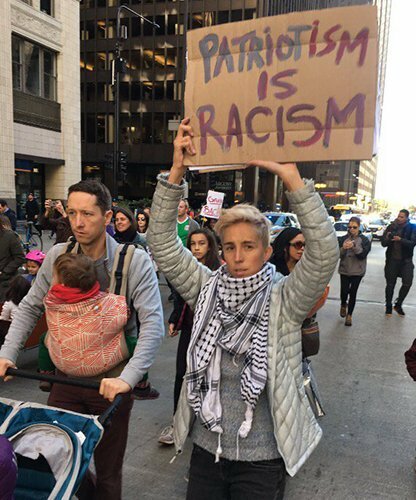 In a glorious mess of ignorance and zombie like virtue signalling they will even gladly assist and protest on behalf of those elements that want to see them destroyed. That is how effective the cognitive dissonance and propaganda has become and it’s one example of how ultra progressiveness has become ultra regressive. The immigration debate has been thoroughly polarised by the decaying faux liberal progressive mainstream media. The choice we’re told is to either be on the left and for unbridled open door immigration, or on the right and an ‘anti migrant’, xenophobic, white privileged swivel eyed isolationist supremacist evil patriarchal racist. The mainstream media is no friend of rational unpolarised debate dealing with facts, logic, reason and truth. But if the left / right terminology has to be used for the sake of explaining then so be it. To paraphrase a commentator on the Craig Murray blog; whilst economic issues have definitely lurched sharply rightwards in recent years, social issues have moved sharply to the left. This is why there has been such an increase in identity politics – political correctness, third wave feminism etc, to the exclusion of what might be termed ‘old left’ concerns. And whilst these politically correct issues, also often referred to as cultural Marxism/critical theory, become ever more ubiquitous, issues of rising inequalities, globalisation and neo liberal economic thinking have been largely ignored. And in this polarised supercharged politically correct climate, a person has to be either for open door immigration or totally anti any immigration whatsoever. There is no room for any middle ground based on rational controlled immigration according to skill, need and capacity – i.e a normal way for countries to operate. Those expressing these rational views are shouted down by those brainwashed and lost to politically correct and identity politics indoctrination. Children are also being indoctrinated to become unthinking dutiful EU and global citizens parroting the same well oiled clichés under the globalist deception of sustainable development as seen and heard in the recent EU debate. They almost might as well be taught to chant “Tyranny is peace, patriotism is slavery” and be done with it. The indoctrination of political correctness has been so pervasive that it has brainwashed many into dismissing their own countries as parochial annoyances that should be destroyed in favour of a globalist borderless new world order of regions – a horrible hybrid of Orwellianism and a Brave New World. But how can an indoctrinated global citizen or ‘internationalist’ truly love the world and all its diversity of people if he or she can’t even acknowledge or respect the right of their own country to exist? It tends to be true that it’s people who have love or respect for their own country that are the people who make the best global citizens in its truest sense. Because these individuals can understand and respect true diversity, and know that the differences and idiosyncrasies of the differing nations on earth should be celebrated not treated with scorn and dismissal in favour of enforced globalist uniformity. But perhaps this is the really important crux of the matter: Sovereignty. Sovereignty, accountability and democracy. Speaking as a Welsh Briton who believes in the fundamental right of countries to be fully fledged sovereign states in the world, it should be obvious by now that the failed EU project is about eroding and destroying the sovereignty of nations rather than protecting them. 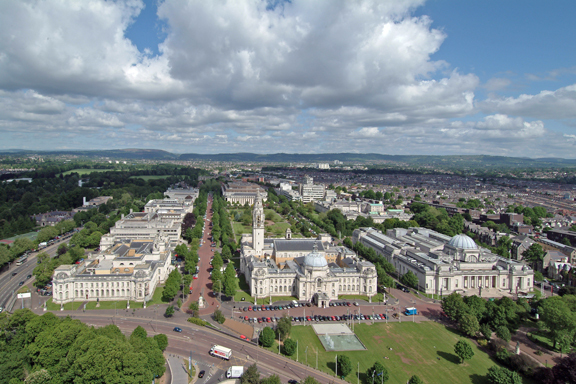 I’m proud of my country of Wales. I’m proud to be from a spirited country that isn’t afraid to fight for its right to exist in a world of diverse, beautifully different nations on earth. My patriotism is not based on hate of any other country or people, narrow mindedness or isolationism. It’s based on love of my own country and on the rational concept of the fundamental right of nations to sovereignty on planet earth – a thought crime for the current self appointed liberal elite. 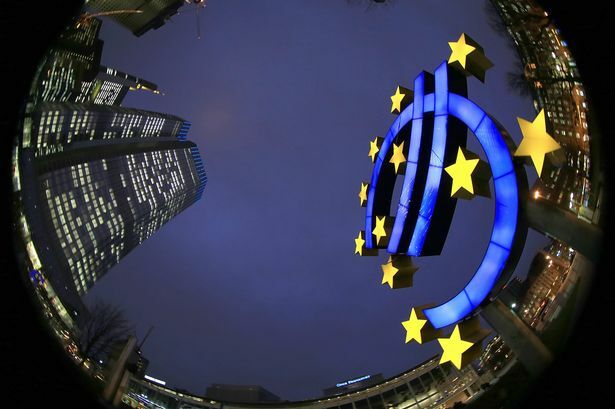 Those that genuinely love Europe and cherish its remarkable cultural richness and diversity know that those are the very qualities that the elites of the crumbling EU superstate want to weaken and eventually destroy if they get their way. And mass unfettered migration is only one way that they will attempt to do it. 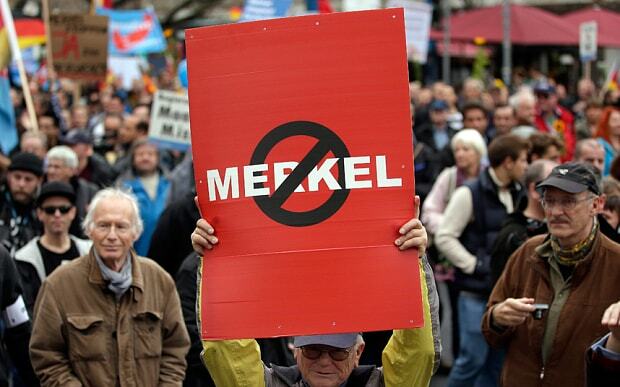 The people of Europe are realising that they have been cheated by the elites of their countries and have to start holding them to account and shining a light on all their lies.